At a recent talk with a group of executive women, I asked them to tell me what they thought my number one priority is. “Your family!” they replied with conviction. “Actually, no,” I told them. I shared that right now, my number one priority is personal growth—setting intentional goals for myself and spending laser-focused time on work and betterment. I’m married to a wonderful man, and I’m the mother of two incredible girls. I’ve had chapters in my life where they certainly were my number one priority, but right now, that’s just not the case. There was a buzz in the room as the words left my mouth, a did-she-really-just-say-that vibe. Before I left, one of the women approached me and thanked me for my honesty. “I think what you said is so bold,” she said. I get this response quite a bit when I share my priorities, goals, and failures—a little surprise, gratitude, and ultimately, relief. Raw honesty, when it comes to owning what matters most to you, is a powerful thing. So I’m here to encourage more of it. Here are three tips to getting there. 1. Assess whether your repeat button is stuck. Your repeat button is stuck. I stole this phrase from my old boss, Colleen, who used it to alert someone when they seemed incapable of progress. When it comes to being raw and honest, you have to start with yourself, and if you keep falling back on the same fears and excuses time and again, then I’ll tell you the same: push that button off. Don’t allow yourself to keep thinking, feeling, and vocalizing the things that are keeping you from growth. We all have hurdles to jump when it comes to making headway in life, and you may stumble over a few of them. But each time you do, you’ll be closer to the finish than when you started. Most of the steps I take with clients are small but intentional, so I encourage you to do the same. If you have a desire you’ve been repressing, it’s time to set it free by speaking it aloud. You can do this a few ways: Try taking a walk alone and speaking it to yourself. Or try looking in the mirror and saying it. Then, try telling someone else—maybe a spouse, close friend, or coworker. I want to go back to school. I want a promotion. I want to quit my job and start a business. I want to run a marathon. Each time you say it, it’ll become little less scary. 3. Know you’re not alone. One of the reasons we find raw honesty so scary is because we think we’re alone in our desires and dreams. Will others judge me for saying personal growth is a higher priority than my family? But the more likely scenario is that not only will you NOT be judged for your honesty, you’ll be thanked for it. 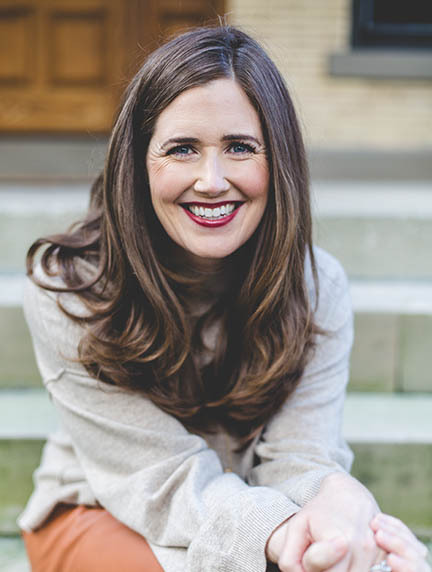 When I told that group of women that I was prioritizing personal growth over family, I gave them permission to feel the same—or simply permission to reevaluate what matters most to them. We’ve all felt similar relief and gratitude when someone speaks truth to us that we’ve been too afraid to speak ourselves. It feels good to know we’re not alone. If you’d like to be more honest about your life goals, I can help. I’m an executive coach and speaker who works with clients nationwide. You can reach me atregan@reganwalsh.com. Trusting your gut when it’s asking you to go out on a limb, take a risk and push yourself is scary and, usually, uncomfortable. I trusted it, despite the fact that we were in a recession and this job, to many, seemed like a dream opportunity. When I saw that man happily riding his unicycle in full clown gear, I knew I’d done the right thing. If he can do that, I thought, I can land on my feet. I was in New York City meeting with different companies as part of my Corporate Communication Leaders program at Ohio University. One meeting took an unexpected turn. My gut told me to raise my hand. I did—and was offered the gig, which I started right after college. That job gave me my first taste of life in the big city and led me to many friends and mentors I still call on today. So I applied to speak at TEDxColumbus 2017. 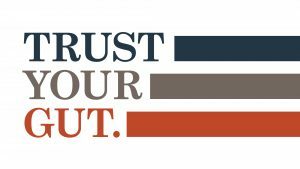 My gut has been campaigning hard for this lately, and I feel it’s no coincidence that this year’s theme is trust. So I’ve excitedly submitted my application and am awaiting word on whether I’ve been chosen, trusting that there’s a reason my gut wants to pursue this. It’s certainly been right before.